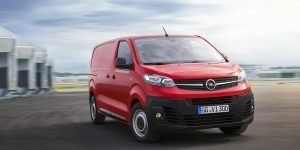 Opel has allowed a preview of the third generation of its Vivaro van. 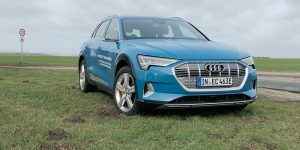 The new model will be available from dealers in late summer, and you can expect the battery-electric version to follow in 2020. British-Finnish partnership for electric snowmobiles & co. The UK battery developer Hyperdrive Innovation and Hybria, an electric drive specialist firm from Finland have agreed to develop an all-weather series of prototypes of non-road mobile machinery and special vehicles such as snowmobiles or boats. 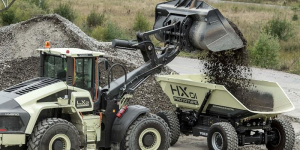 Construction machinery manufacturer Volvo Construction Equipment announced the launch of a range of compact electric wheel loaders and excavators to be introduced from mid-2020 and the end of the development of new diesel engines for the vehicles. 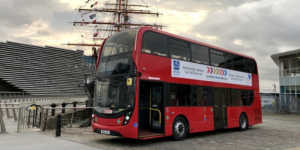 British bus manufacturer Alexander Dennis Ltd. (ADL) is expanding its range of double-decker buses to include a model with fuel cell drive. 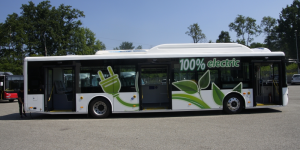 The electric drive axle of the hydrogen bus comes from Germany’s ZF. 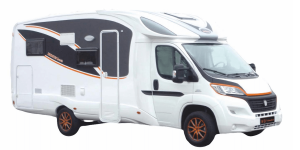 As announced, the Iridium brand presented the first market-ready motorhome with all-electric drive at the CMT travel trade fair in Stuttgart and revealed further technical details. Orders have already been accepted and the first deliveries are scheduled for July or August. 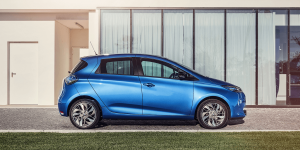 In connection with the announcement of their German sales figures for 2018, Renault has announced that a Cargo version of the Zoe will be added to their range of electric models this year. 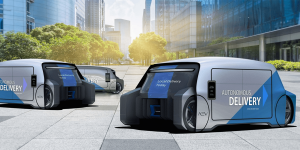 The Australian company AEV Robotics presented a flexible concept for autonomous electric vehicles at CES. 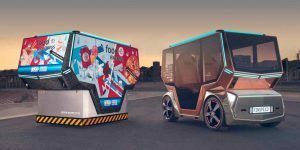 The basic flat construction – also known as a skateboard – can be used to mount various superstructures – so-called pods – for taxis or delivery vans, for example. 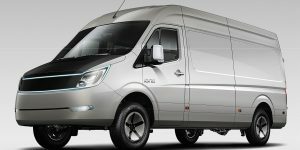 The London Electric Vehicle Company (LEVC) is postponing the launch of its planned new electric delivery van. 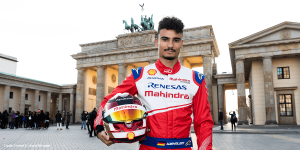 The new vehicle should have come out at the end of 2019, but will only be “ready for the market at the beginning of the 2020s”. 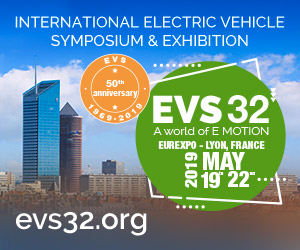 LEVC already published a first photo of the EV in May 2018. 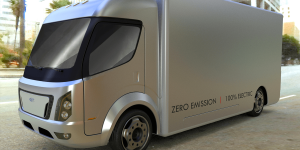 Truck manufacturer Peterbilt has just presented the mid-size 220EV electric model at CES 2019, which compliments their 520EV and 579EV all-electric trucks announced in May. In total, Peterbilt say they will have more than 30 electric trucks in trials with customers by the end of 2019. 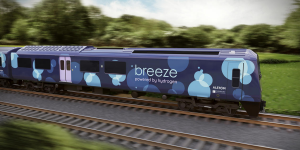 In cooperation with Eversholt Rail, the French group Alstom has presented the design of a new hydrogen train for the British market. The H2 train, which was developed under the code name Breeze, is the conversion of an existing train. Volkswagen previously wanted to take over the Post subsidiary StreetScooter. Discussions began taking place at the beginning of 2017 but ultimately failed due to different price expectations. 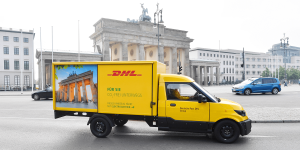 As is well known, the German Post does not aim to be a vehicle manufacturer in the long run. Elon Musk presented the underground transport system Loop of his Boring Company in a test tube. Contrary to expectations, however, no autonomous e-shuttle was presented at the same time. Instead, a retrofit solution for autonomous electric cars was presented using the Tesla Model X as an example. London is ready to spend £23 million to help take the most polluting vans off London roads. 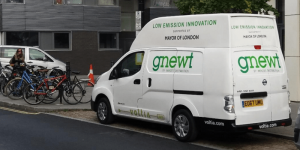 The new scrappage scheme has been launched to prepare small businesses for the ultra-low emission zone (ULEZ) due to go into effect in April next year. 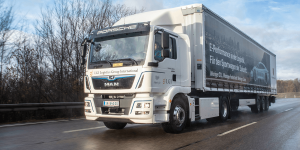 Porsche commissions a fully electric truck by MAN to deliver part for the production of their first electric car Taycan in Stuttgart currently in preparation. The MAN eTGM is a 32-ton carrier that Porsche says comes with a range of 130 km. 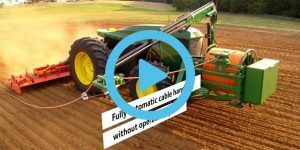 John Deere wants to establish electric drives in agriculture. 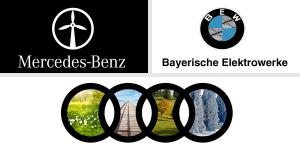 The agricultural machinery manufacturer is now showing a world premiere: a fully electric, autonomous tractor in operation on the field. Electrive.com was given an exclusive release. Scania is developing a fuel cell refuse truck together with Renova, a waste handling company in Sweden. 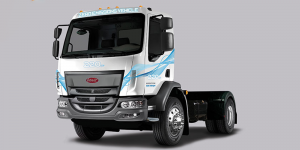 The truck will feature a fully electrified powertrain as well as an electrified compactor. Supported by government agencies, Scania set delivery for 2019/20. Elon Musk’s tunnel digging venture, The Boring Company says they will open their first tunnel underneath L.A. on December, 18. 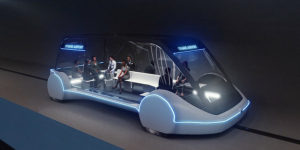 Moreover they will combine it with the debut of an autonomous shuttle Musk says is “road-legal”. 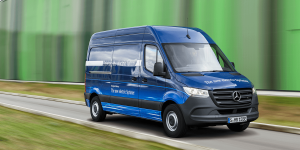 The electric van maker owned by DP/DHL has received the EC approval to serially produce its basic Work electric van. 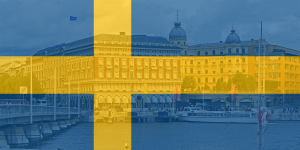 The approval for large series production also applies to other EU countries and to Switzerland and Norway so that StreetScooter may fulfil more orders coming from third parties. 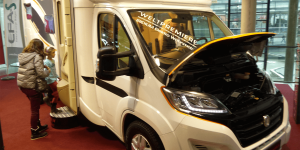 The first purely electric campervan is market-ready and will be shown in Stuttgart at the CMT travel trade fair in January 2019. The e-camper is scheduled for market the same year. The Iridium EV is the product of a cooperation between EFA-S (powertrain and batteries) and WOF (chassis). 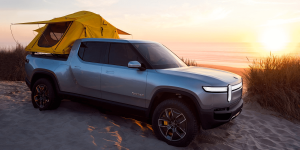 The U.S. start-up Rivian Automotive debuts its electric pickup R1T at the LA Auto Show. 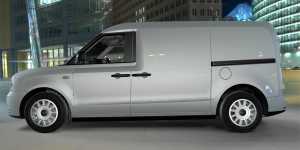 The five-seater is equipped with four electric motors, each with an output of 147 kW. Deliveries of the truck that will cost at least 69,000 dollars, are set to start in late 2020. 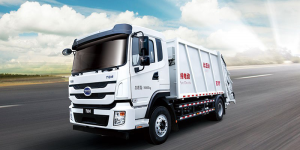 BYD has put their electric truck factory in the Canadian province of Ontario on hold. The initial plan had been to open the electric truck facility next year and to employ at least 40 people. This will not happen for now but perhaps in future. 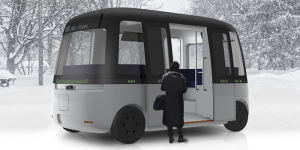 Chinese electric bus manufacturer Alfabus has entered a strategic cooperation with Basco Bus of Italy to deliver their Ecity L12 to Europe. The EV will be adapted to local requirements for this venture. 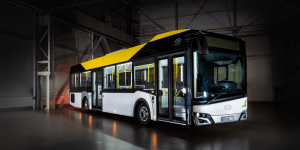 Poland’s one and only busmaker Solaris debuts new and updated electrified bus models at its home show Transexpo as planned. The star of the booth is the Solaris Urbino 12 LE lite hybrid while updated versions of the common Urbino series complete the line-up. Avevai, a start-up from Singapore is showing the first electric vehicles of their new Iona series at the Guangzhou Auto show in China. 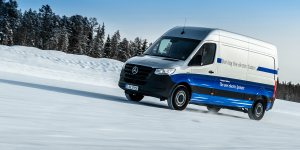 They developed the chassis of their electric van and small e-truck together with Daimler and Foton but the real innovation is in the system. 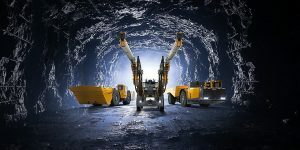 The Swedish company Epiroc has introduced the second generation of their electrified vehicles for underground mining. 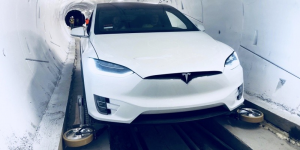 The vehicles were developed in cooperation with Northvolt and ABB and include a 42-tonne truck, a 14 tonne and an 18-tonne loader, and a series of drills. 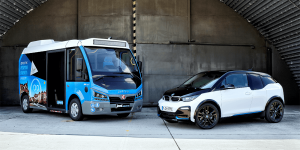 For the first time, the high voltage batteries and electric motor system developed for the BMW i3 will be used for the electric city bus Jest by the Turkish bus manufacturer Karsan. Hydrogen truck maker Nikola Motor has a “thing” for Europe. 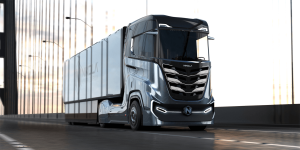 The Nikola Tre is a fuel cell truck made for the continent exclusively. 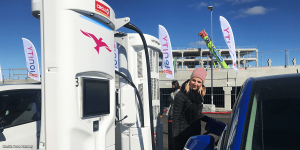 Norway will be the first testbed from 2020 before Nikola will set up both FCV production and a hydrogen network in Europe.